OPEX's Sure Sort™ is a highly scalable, configurable, and cost-effective small item robotic sorting system. 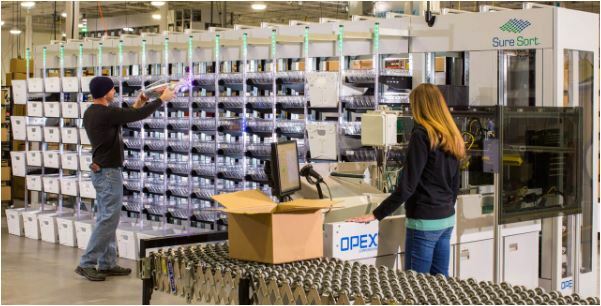 OPEX® Corporation's Sure Sort™ is a highly scalable, cost-effective, and configurable small item robotic sorting system that easily handles complex variables and delivers a wide variety of parcels and single items to their final location in a single pass. Regardless of size, packaging, or orientation of an item, Sure Sort™ provides a better way to sort items more accurately and efficiently. Sure Sort’s smart automation is based on proven iBOT® delivery technology, the same technology that drives the OPEX Perfect Pick®, and directed by Sure Sort's host software in conjunction with virtually any warehouse automation management system. These multi-directional iBOTs, powered by ultra-capacitors which automatically recharge as they move throughout the system, are intelligent wireless vehicles that effectively transport the smallest of items and parcels up to five pounds, allowing Sure Sort™ to deliver energy efficiency. 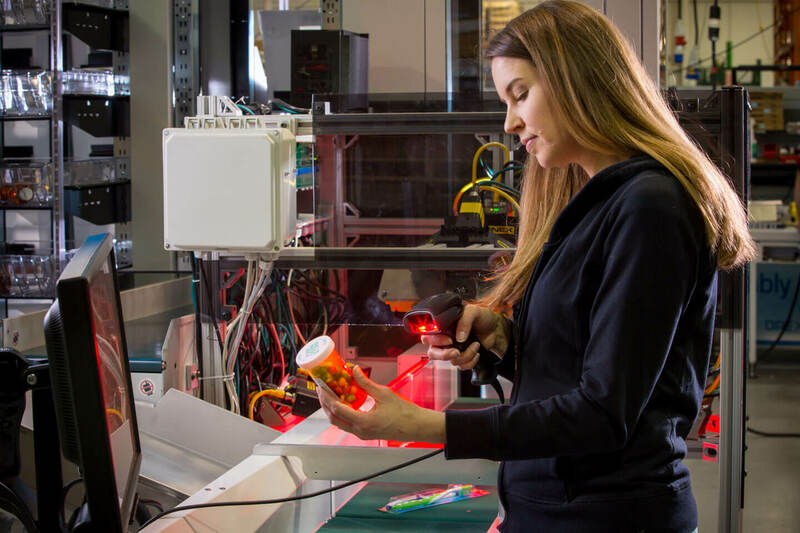 Whether replenishing store inventory or picking direct-to-consumer orders, Sure Sort™ is ideal for businesses looking for a cost-effective entry into warehouse automation as well as fulfillment operations looking to streamline processes. For more information on OPEX's Sure Sort™ and the benefits it may have for your company's operation, contact your Sales Engineer.